Used for any news reports having to do with the Translation Committee or volunteers. We have included more information on the role below. Open roles and applications will always be available at the volunteering page. If you don’t see a role that fits with your skills and interests now, keep an eye on the listings. We plan to put up new applications every few weeks, and we will also publicize new roles as they become available. 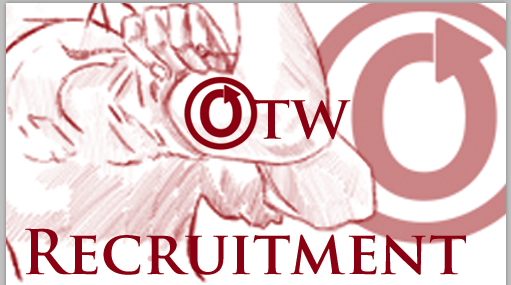 Every month or so the OTW will be doing a Q&A with one of its volunteers about their experiences in the organization. The posts express each volunteer’s personal views and do not necessarily reflect the views of the OTW or constitute OTW policy. Today’s post is with Lona, who volunteers as a translator. I am a translator, beta, uploader and team coordinator for the Dutch translation team. This way I help make the OTW just a little bit more accessible to the people out there who don’t speak English.